Have you ever thought that a pigeon's dung (dropping) can cause destruction? Aside from the avian flu virus that it may cause to anyone's health, a pigeon's dung can also be used as an important chemical for making bombs. In what way? In ancient Persia, now Iran, they had erected pigeon towers that measure 10 to 20 meters in diameter and stand 18 meters high. The pigeon towers were set up more than 1,500 above sea level and close to a Zayandeh-Rud River which flows year-round to Zagres mountains. In a research made by Eric Hansen, a California-based freelance writer, the Istafahan oasis provided an ideal habitat for wild pigeons and large-scale agriculture. Hansen said that the Persians did not raise pigeons for their meat. To them, the pigeons are sacred because Prophet Mohammed used to carry one of them in his shoulder while he was preaching the words of God. Instead, the main reason for raising pigeons in ancient Persia was for their droppings which were useful for agricultural purposes. At that time, most of the lands were not suited for agriculture so that the farmers deemed it necessary to erect those pigeon towers in the open fields for the pigeons to roost. Then, the farmers collected the droppings to be used as fertilizers. 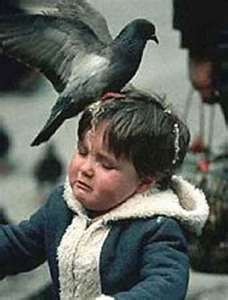 Pigeon droppings are considered rich in nitrogen and phosphorous. When mixed with soil and ash, it's similar to those modern-day fertilizers. The mixture is applied a standard rate of 900 grams per fruit tree per year or 1680 kgs. per hectare, the harvest can produce as much as 50 percent higher. On the average, each pigeon is capable of producing 6 lbs. of dung per year. Pigeon's dung is also used in the processing of leather hides. When mixed with water, it becomes muriate of ammonia (NH4Cl), a softening agent used for the leather tanning process. It is also used in the manufacture of gunpowder as it consists of 75 percent potassium nitrate, 10 percent sulfur and 15 percent carbon. During those years, the Persian army had no natural source of potassium nitrate. But they were able to produce gunpowder by mixing soil, ash, lime , along with the pigeon's dung, to produce gunpowder. It was in 1280 when the making of gun powder was known in the Middle East.